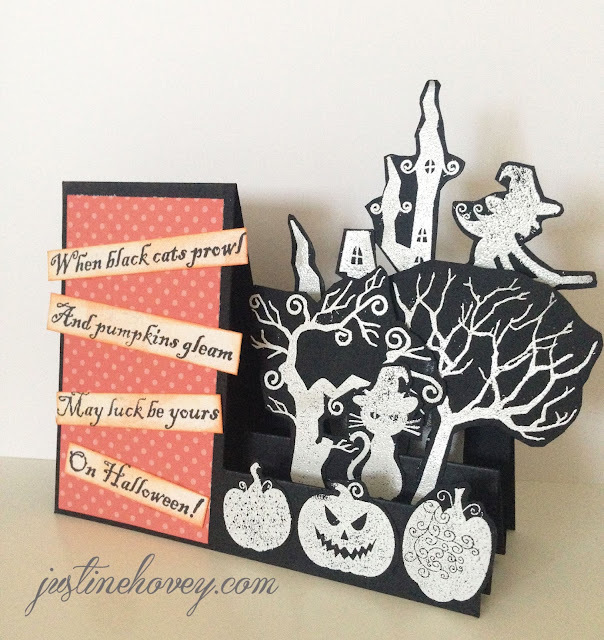 Learn how to make a side step card and do some awesome embossing on black by watching the video tutorial! If you missed Day 4, check it out here! Very cool, very clever and very spooktacular! Thank you for the how-to details...added to my 'must try' list!